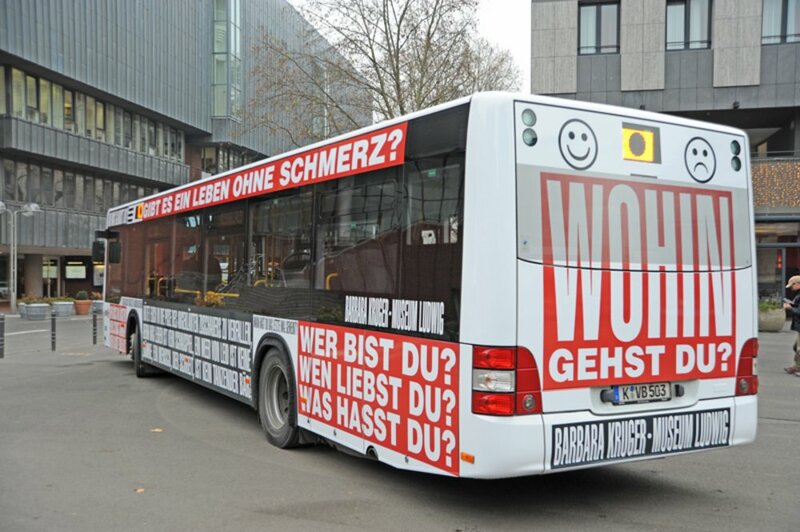 Why did Barbara Kruger wrap these buses in her iconic prints? 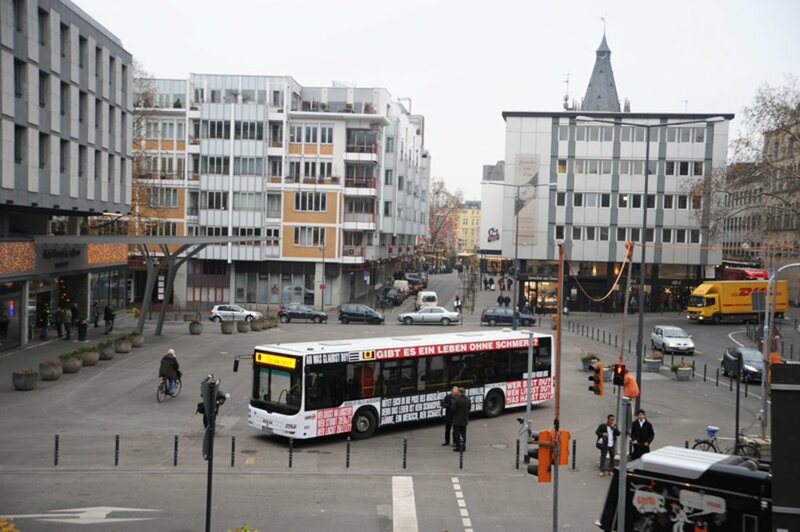 Why did Kruger wrap these buses? 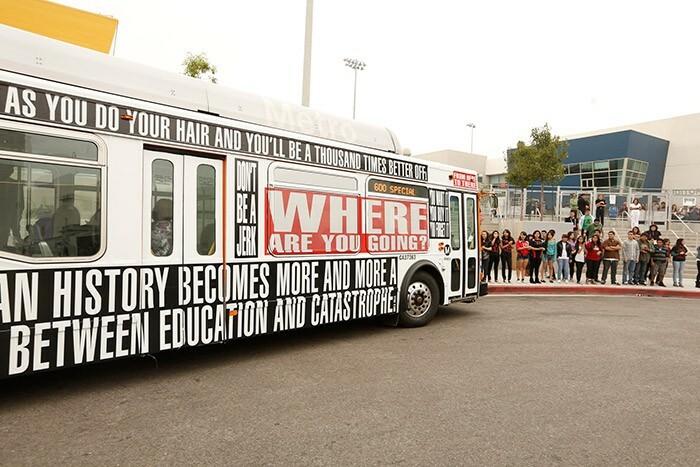 Barbara Kruger wrapped a school bus, addressing the importance of arts education in Los Angeles public schools. Her work is usually known for its bold, eye-catching design, and philosophical themes. The artist’s project for Arts Matter, a philanthropic organization, rendered in Kruger’s signature style, addressed directly and urgently the importance of education, especially in the arts. Kruger’s statement, Art is as heavy as sorrow, as light as a breeze, as bright as an idea.. emphasizes the fluid nature of art. At the same time, Kruger stresses that art remains a crucial and indispensable part of a successful educational system. 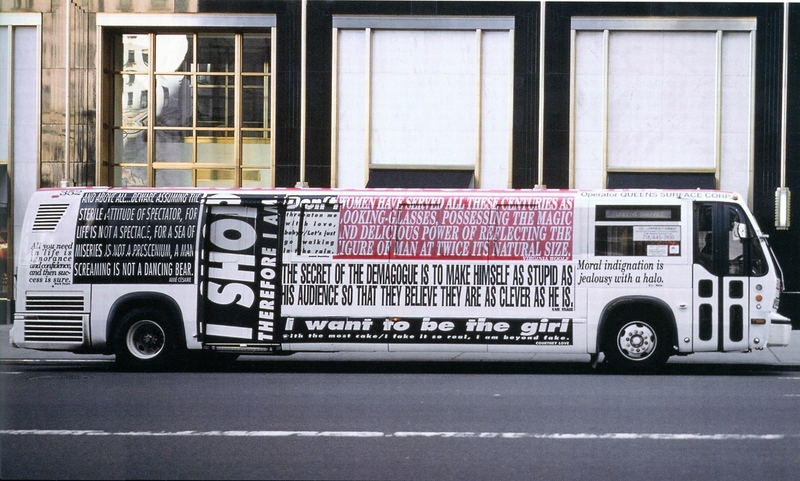 School Bus also references an earlier bus wrap Kruger created for New York City’s Public Art Fund in 1997 (photo below). 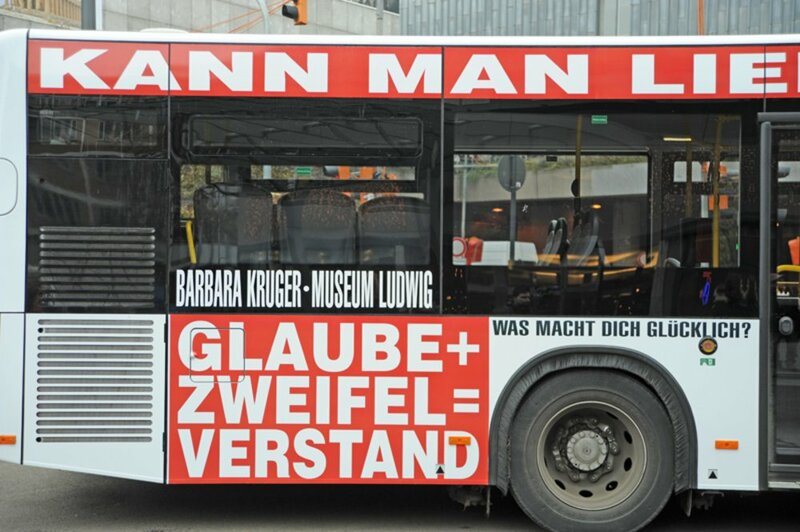 Barbara Kruger is an artist based in Los Angeles and New York and is one of the most renowned contemporary artists working today. 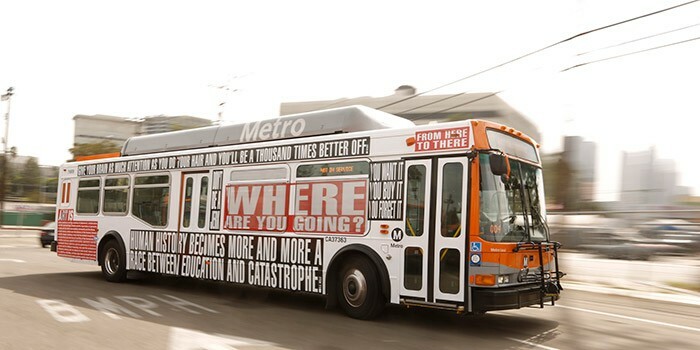 For over three decades, her work has encompassed a broad spectrum of context and scale, ranging from publication inserts to immersive installations that involve text, images and video. Kruger’s work has appeared in museums and galleries worldwide. Why does Lara Almarcegui create massive piles of rubble? 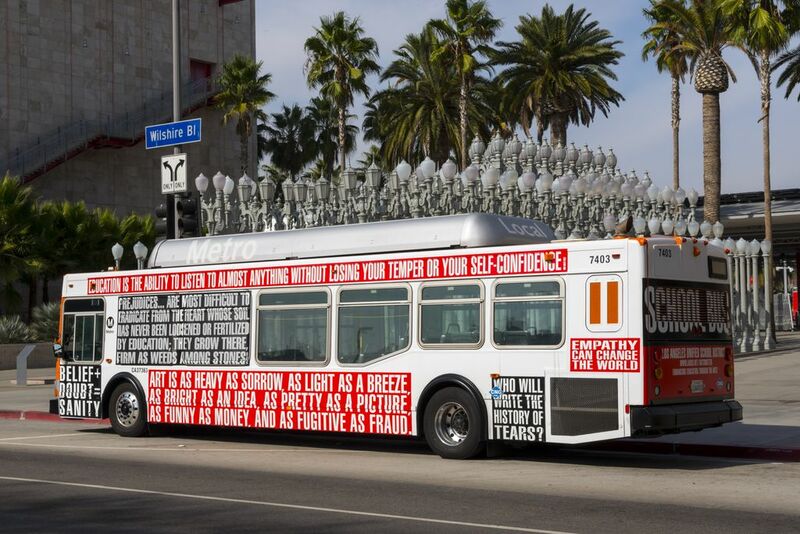 Posted on January 7, 2013	in the category Installation and tagged 2012, Art in Los Angeles, Barbara Kruger. 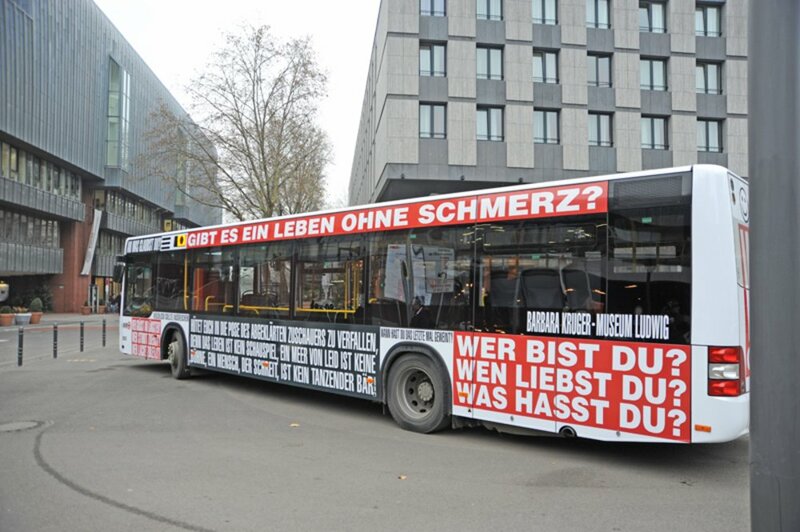 One Response to "Barbara Kruger wrapped entire buses in her iconic prints"